We have some incredible activities and special guests lined up for you during our Heroes of the Storm launch celebrations, taking place one week from today, on June 1. Whether you’re attending the London event in person or watching the live stream, you won’t want to miss it. Heroes of the Storm Game Director Dustin Browder and Senior 3D Artists Phill Gonzales and Luke Mancini will be at the show to provide insight into the game and showcase some artistic talent. And bringing the brawl to the stage will be our hosts, well-known UK TV and radio presenter Iain Lee and eSports personality Sue ‘Smix’ Lee. In addition, you’ll get an exclusive look at the newest Hero: Johanna, the Crusader; see some of the world’s best cosplayers showcasing their work; and more. Check out a sneak peek of what’s in store below. 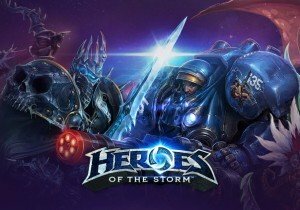 You can visit http://www.nexuscalling.com/ now to create and share your own Heroes-inspired avatar, which has a chance to be shown entering the Nexus during the launch event. And remember to join the buzzing conversation on social media using the #NexusCalling hashtag. Your tweets could be featured on the official launch site. Nexon has released a new update for combat arms, introducing a new map and a new class. The citizens of Entropia Universe are invited to participate in an epic Easter Egg hunt that starts tomorrow (March 29th). Starcraft 2 - 2v2 Gameplay #2 Masters League Cheese!